In this article, I will continue from where we left in part-1 to register an application to work with Office 365 using the Microsoft App Registration Portal. This is part-2 of the two-part series, I suggest to read the part-1 here first before continuing. For a quick demo, enter the same URL we entered above http://localhost:57329/AfterLoginPage and click “Save”. Copy the script to any HTML page header section or create a new page in sample ASP.Net web application we created above. Copy this code to body section of new HTML page you created. Save and run the page in browser. If you create a new ASP.Net web form, then mark to page as startup page and run your web application. In both the cases, it is necessary that the http://localhost:57329 site is running so that Microsoft can redirect your application to that page. Enter your Microsoft login and password, click on “Sign in”. Congratulations! You have implemented the authentication with MS Identity stack. Remember you must write code for fetching data from MS Graph API or any other Office 365 APIs. 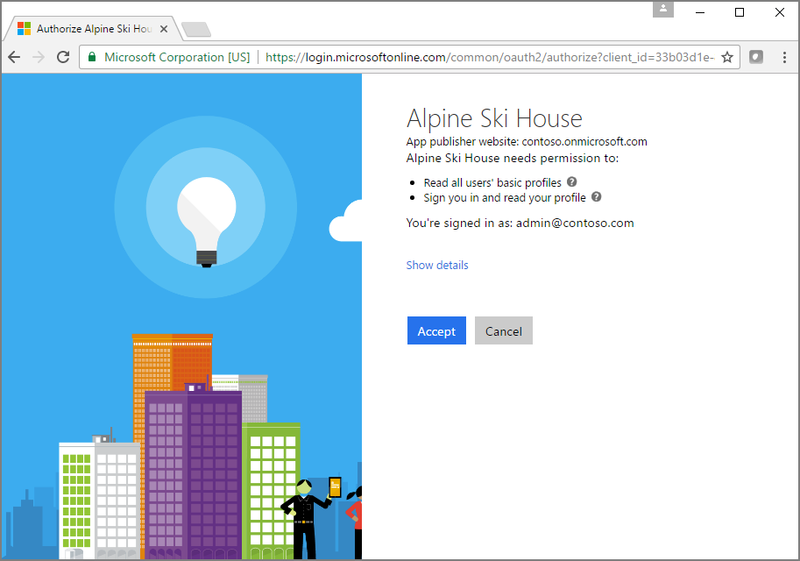 This article covers only registering your application with MS App Registration Portal and demo of logging in using Microsoft credentials. The applications you registered here are also accessible from MS Azure Portal. To do so, login to MS Azure portal https://portal.azure.com with the same login you used to register your app on MS App Registration Portal. Either click on the “App Registrations” menu on left or click on the “App Registrations” web part in dashboard. You will not see your registered app directly here, Click on the “Microsoft Application Console” link. If you really want to develop an application and fetch some data from Office 365, you will need to do much more than just register an application in the portal. I will cover these steps in detail in a future article, until then – Happy learning!